Energy storage costs continue to decline, but with wide variations, depending on the battery technology and where and how it’s used, according to new research by Lazard. Lazard also found solar generation costs declining at an even steeper rate. 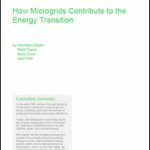 Solar and storage often are coupled in microgrids and nanogrids. Lazard offers the following insights from the two studies, known as LCOE 10.0 and LCOS 2.0. Costs continue to decline for power from solar photovoltaic (PV) technology, Lazard says. The median levelized cost of energy from utility-scale PV technologies is down approximately 11 percent from last year, and rooftop residential PV technology is down about 26 percent. Despite their promise, alternative energy systems alone will not be capable of meeting the baseload generation needs of a developed economy for the foreseeable future, according to Lazard. Therefore, many regions of the world should use complementary traditional and alternative energy resources in a diversified generation fleet. Energy storage costs are generally dropping. For example, the median cost of using lithium-ion technologies decreased last year by about 12 percent, 24 percent and 11 percent for peaker replacement, transmission investment deferral and residential use cases. Lazard attributes the decline partly to lower capital costs. Great promise exists for behind-the-meter merchant energy storage at factories, universities, hospitals, and other high energy use locations. However, the economic viability of the projects depends greatly on local market structure and incentives. For example, a battery-based storage system that is economically viable in Pennsylvania may not be viable in Texas. Industry participants continue to expect demand for batteries to enhance manufacturing scale and lower energy storage costs. If industry projections materialize over the next five years, cost-effective energy storage technologies will have increasingly broad applications across the power grid. They will provide an alternative to conventional gas-fired peaking plants in certain areas, as well as extend the usefulness over the course of the day of solar and wind energy. Lazard is an international financial advisory and asset management firm that operates from 42 cities across 27 countries in North America, Europe, Asia, Australia, Central and South America. 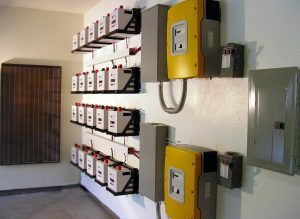 Track news about energy storage costs by signing up for the free Microgrid Knowledge newsletter. Microgrid Future: Has Elon Musk Figured Out How to Make Kilowatts into Eye Candy?